Born in Kolhapur, Maharashtra. 1945 Gold Medal, Bombay Art Society, Bombay. 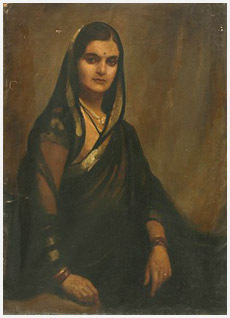 1944 President, Art Society of India, Bombay. Commissioned to execute portraits of several eminent personalities of India. Chairman, Bombay Art Society and Artist Centre, Bombay. Lives and works in Mumbai. Completed two years of Diploma, Ketkar Institute of Art, Bombay. 1929-32 Joined J.J. School of Art, Bombay. 1935, 36, 37, 38, 39, 40, 41, 44, 48 Annual Exhb., Bombay Art Society, Bombay. Exhb., Jehangir Art Gallery, Bombay. Exhb., Simal Fine Arts Society, Simla. 2004 Manifestations II, organised by Delhi Art Gallery, Jehangir Art Gallery, Mumbai and Delhi Art Gallery, New Delhi. 2005 Manifestations III, organised by Delhi Art Gallery, Nehru Center, Mumbai and Lalit Kala Akademi, New Delhi. Prince of Wales Museum, Mumbai. New Council Hall Court, Mumbai. Delhi Art Gallery, New Delhi. 1939, 40 Gold Medal, Academy of Fine Arts, Calcutta. 1944 Silver Trophy, Art Society of India, Bombay. 1945 Gold Medal, Bombay Art Society, Bombay. 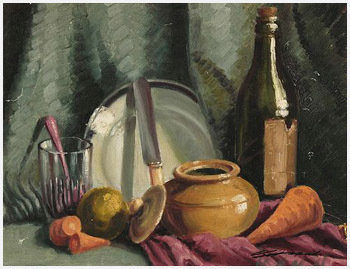 1945 Awarded Medal, Rajaram Art Society, Kolhapur. Society and Jehangir Art Gallery at Jehangir Art Gallery, Bombay. 2000 Felicitated by National Gallery of Modern Art, Bombay. 2005 Received Roopdhara: A Life Time achievement Award, organised by Bombay Art Society, Jehangir Art Gallery, Mumbai.